Read below a sample of the reactions I received to last week’s column on Dr. Bennet Omalu, the Nigerian-American forensic pathologist whose groundbreaking intellectual exploits inspired a Hollywood movie called Concussion, which stars Will Smith. 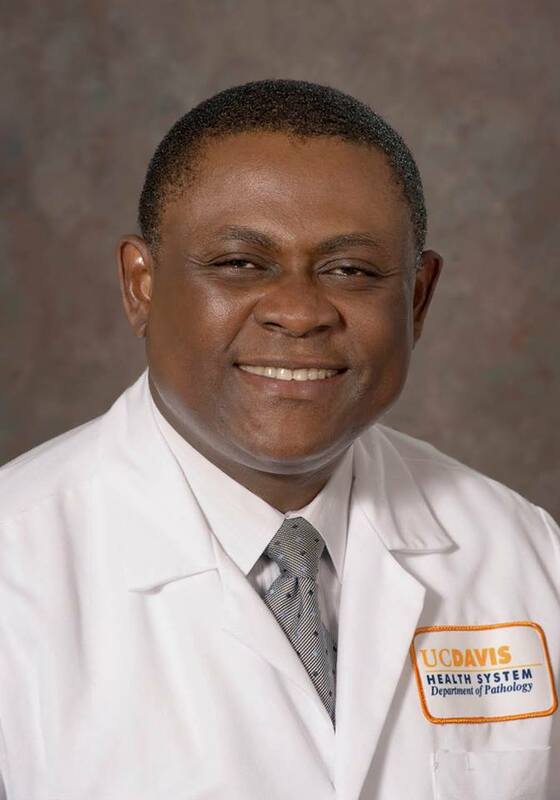 I am ashamed that I didn’t know about Dr. Omalu until I read your column. After reading your article, I Googled the man and found that he has been a media celebrity in America for at least three years. It’s a shame that there is not a single mention of his name in any major Nigerian newspaper until your column was published. I did a search of his name on the websites of major Nigerian newspapers and didn’t find a single match. In a way, I think Nigerian journalists, who like to regale us with all kinds of useless foreign news stories such as the trivial details of the personal lives of American celebrities, should be more ashamed than me for not finding out that a Nigerian has confronted the powerful NFL with knowledge and science and defeated it. I must also mention that I first discovered your column years ago when you exposed the lies and exaggerations of Philip Emeagwali and Gabriel Oyibo. I recall being angry with you for busting my bubbles. I thought you were just a northern Muslim intellectual trying to bring down Christian Nigerian heroes until my independent investigations confirmed what you wrote. The eloquent and enthusiastic way you celebrated Bennet Omalu has proved beyond all shadows of doubt that your only interest is the truth and genuine, provable achievement. Well done, sir. You have said it all, Prof. Nigerian media mostly publicise those who court them and it is usually the charlatans that do so. Dr Omalu's story is very inspiring indeed. It is never easy go against the powers that be and prevail. His story reminds me of that of the 19th Century physician in Vienna, Ignaz Semmelweis. Prior to the discovery of germs and infection, Semmelweis wrote that doctors should wash their hands with chlorine after attending to a patient and before moving to the next patient as a way of preventing fever in post-childbirth women. His findings were instantly rejected by the medical establishment, he became unpopular, and his career went into terminal decline. The big doctors of the day just couldn't accept being told to wash their hands. Semmelweis eventually died in a mental asylum at the age of 47. Not long after his death, germs and infection were discovered and everyone understood the need to wash hands. Great work Farooq. The media in Nigeria help to spread ignorance. Meanwhile they promote and celebrate those whose lives ridicule our values. Can't wait to read the book and see the movie. Kudos Dr. Omalu and thank you, Prof., for this. When I saw the trailer of Concussion, as usual I Googled and learnt it was based on a true story and that the Dr. Omalu portrayed in the movie is of Nigerian descent. I remember telling my daughter this. We just read your article together and she is greatly surprised that no Nigerian journalist bothered to research when they saw the trailer! I actually heard about him for the first time just a few months ago after watching the film's trailer. I wondered why such a big hero was largely ignored while many others are hyped for good (not better) or bad reasons. It's wrong and confusing. It's a great delight you wrote about him. Dr. Omalu is not only a great scientist worthy of not only of a Hollywood movie but the Nobel Prize in Medicine; he is also a great pan-Nigerian patriot. After I discovered his Facebook profile from your blog, I literally read all the comments there. In one of his posts, a Biafran activist tried to say something to the effect that Omalu’s achievement was Biafra’s, not Nigeria’s. I was pleasantly surprised that Dr. Omalu responded and said the Biafran activist should “stop this Biafra nonsense!” He affirmed his Nigerianness and said we would progress only if we unite as one nation. That, for me, is a patriot. The president should celebrate this man. A very interesting piece; motivating and inspiring. I hope the Nigerian Medical Association, the Academy of Science, and the Merit Award Committee will honour this genius. Kindly look up the whereabouts of Dr. Abba Sarki for us. I wonder why it is taking him so long to make an impact. We all have been expecting him to earn a Nobel Prize. Never heard of him which isn't surprising because America is such an advanced country where millions of people do so many wonderful things which we never get to hear from this part of the world. My own cousin is equally unheard of by most Nigerians especially the media. He is a recipient of NIH K01 or K08 award in the Harvard Medical School and was mentored by Dr. David Standaert. I read your incisive article on Dr Omalu, which appeared in today's Daily Trust newspaper, and I commend you. Another of our unsung heroes is Dr Patrick Usoro, who is a brilliant engineer with over 50 patents. You will do us a great service if you can project this great Nigerian who is living in the United States.